At the weekend my Dad and his partner had their big annual afternoon barbecue followed by a party, which is always themed. This year the theme was Las Vegas. To save money on fancy dress outfits, my fiance and I just dressed up really posh in outfits we already owned, as if we were going to a casino. 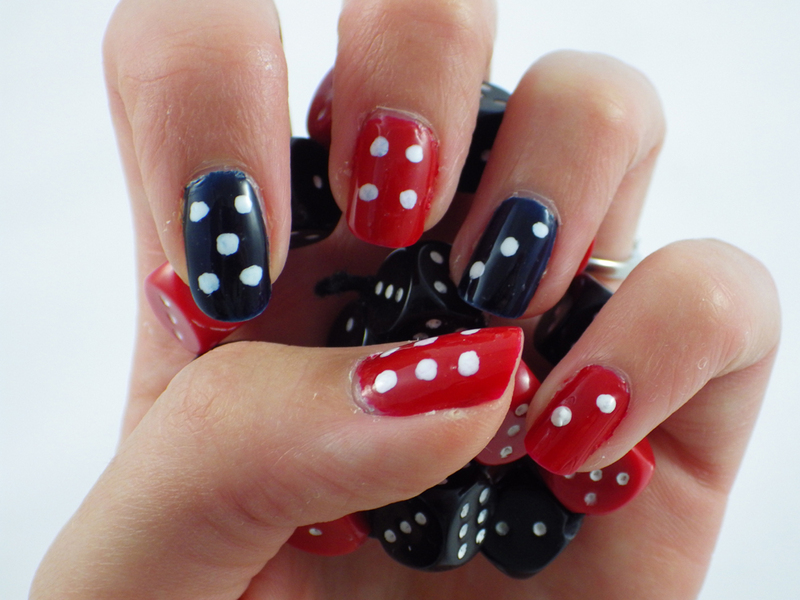 However to make it a little more fun, I decided to continue the casino theme on my nails with a bit of dice nail art! 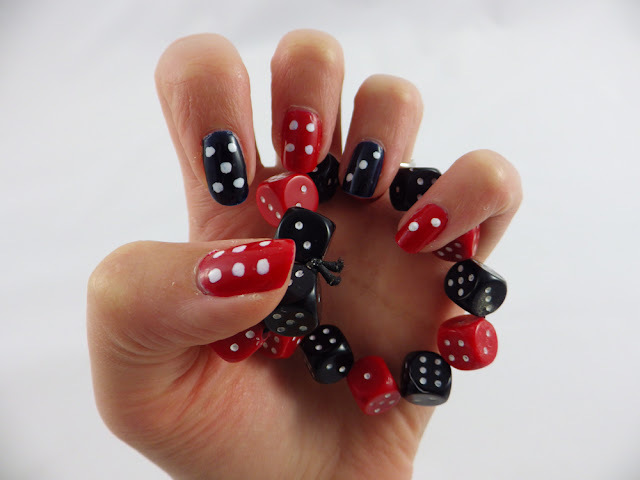 As you can see from the picture, my inspiration was the red and black dice bracelet, which I bought for a Alice in Wonderland themed fancy dress party last year. When I came to paint my nails a few hours before going out, I realised that I do not actually own a black nail varnish! So instead I used Nails Inc Motcomb Street, which is actually a very dark navy blue, so dark that it nearly is black. The red is Nails Inc Holly Bush Vale. 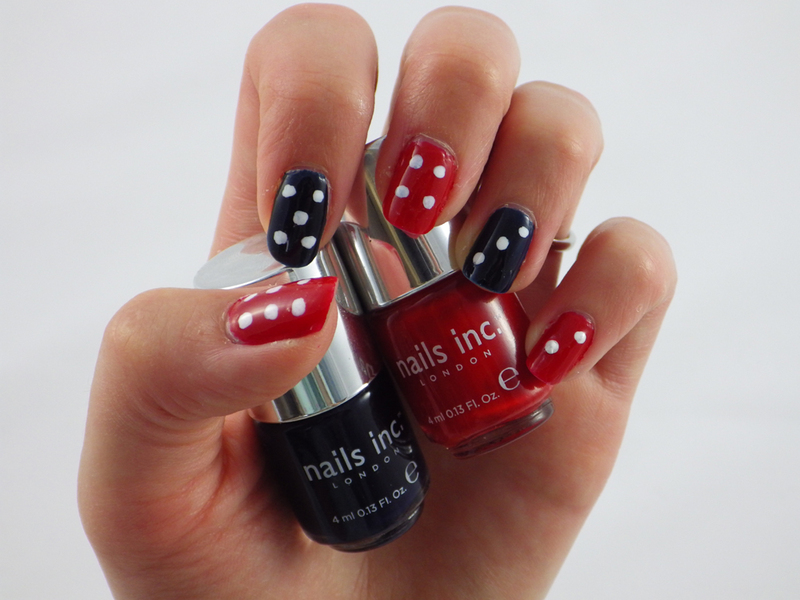 Both of these came from a set of 5 Nails Inc mini nail varnishes, which I bought from TKMaxx for just £12.99! Absolute bargain. 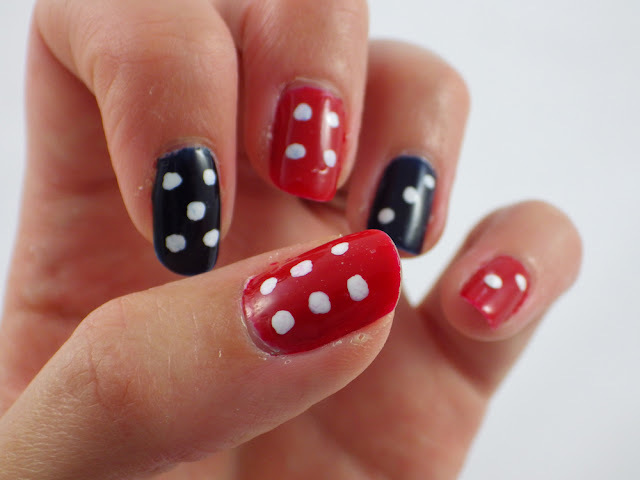 For the white dots I used my Models Own nail art pen. So simple but really striking! Love it.